cidaas (customer identity as a service) - is a cloud based service that abstracts how users authenticate to applications. Developed by WidasConcepts, our Customer Identity service provides an easy and simple integration with our pre-built social login, registration and single sign on components. 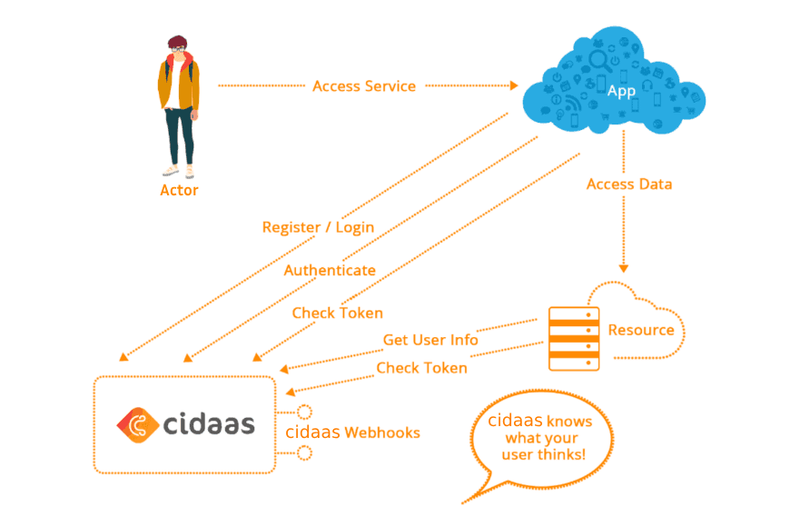 Built using OAuth 2.0 and Open ID connect standards, cidaas is designed to offer scalability, security, transparency and flexibility to manage customer identities and data.. Custom Credentials: Username + Passwords. Social Network Logins: Google, Facebook, Twitter, or any OAuth2 with OpenID Connect provider. Password less Systems: Face Recognition, Fido U2f, TouchID, Voice Recognition, Pattern, Smart Push, One Time Codes (TOTP), Email, SMS, IVR or Backup Codes. 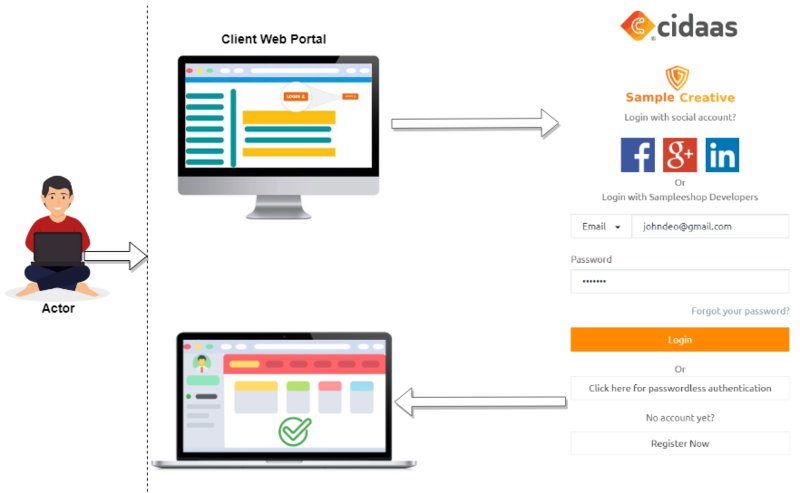 To give a simplistic view, the picture here shows a demo, where a client Web Portal uses cidaas as its login/registration service. The purpose of this document is to provide details on using the cidaas Administrator portal and its functionalities. Nowadays users have many different user accounts with different passwords which are frequently forgotten in the password maze. This leads to customer dissatisfaction or to the fact that some services are not even used. At the same time, companies with many or a growing number of users face the challenge of managing user accounts intelligently. Ultimately technological change brings: mobility, cloud services, online collaboration, the Internet of Things, the digitalization, thus completely new requirements but also opportunities to recognize and know users. That&apos;s why with cidaas we offer a uniform and centralized solution for managing your users and securing your portals, apps and APIs. cidaas is seamlessly integrated into your existing web-portal or across all your digital services, where your end-users need to register/login i.e. the user-interface will be designed as per your business specifications. How can I integrate cidaas with my business?